In her timely new book, Teresa M. Mares explores the intersections of structural vulnerability and food insecurity experienced by migrant farmworkers in the northeastern borderlands of the United States. 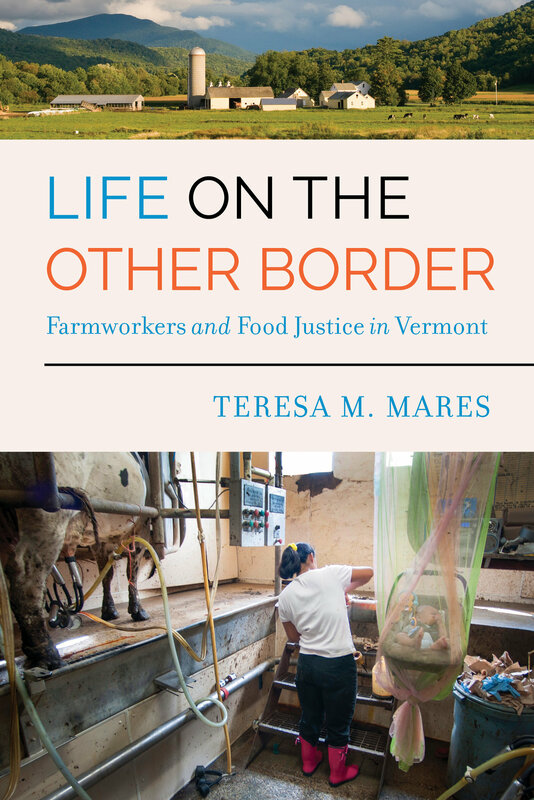 Through ethnographic portraits of Latinx farmworkers who labor in Vermont’s dairy industry, Mares powerfully illuminates the complex and resilient ways workers sustain themselves and their families while also serving as the backbone of the state’s agricultural economy. In doing so, Life on the Other Border exposes how broader movements for food justice and labor rights play out in the agricultural sector, and powerfully points to the misaligned agriculture and immigration policies impacting our food system today. Teresa M. Mares is Associate Professor of Anthropology at the University of Vermont.